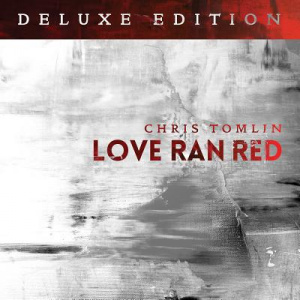 'Love Ran Red' is Chris Tomlin's all new album for Winter 2014 - featuring his latest radio hit 'Waterfall'. Continuing the dance/trance worship movement, Chris has embraced many euphoric sounds usually found in night clubs and mixed them together with his talent for crafting powerful songs of worship. As you would expect from the GRAMMY award-winning artist, 'Waterfall' has a strong beat and an even stronger chorus that will no doubt inspire many in worship. "Your love is like a waterfall, waterfall. Running wild and free // You hear my heart when I call, when I call. Deep calls to deep // Your love is like a waterfall, waterfall. Raining down on me." Chris wrote Waterfall latest year with his friend and longstanding producer Ed Cash. Inspired by two Psalms ("Deep calls to deep, in the roar of your waterfalls" Psalm 42:7 & Psalm 63) 'Waterfall' is a song to encourage you to return to your first love. Deep in our souls, down in the depths in that secret place where you connect with God, is where God overwhelms us with his never-ending, powerful love like a waterfall. Following on from 'Burning Lights', which saw many co-written songs such as 'Whom Shall I Fear', God's Great Dance Floor' & 'Sovereign', this new album adds even more to his congregational worship song tally. As with all his albums, Chris hopes many will take these songs and uses them in worship wherever that might be. Love Ran Red Deluxe CD by Chris Tomlin was published by Six Steps in October 2014 and is our 9700th best seller. The ISBN for Love Ran Red Deluxe CD is 0602537934706. Be the first to review Love Ran Red Deluxe CD! Got a question? No problem! Just click here to ask us about Love Ran Red Deluxe CD. One of Christian music's most well-known artists, Chris Tomlin returns with the all new album Love Ran Red featuring the hit 'Waterfall'. With a list of No. 1 Christian radio singles, a GRAMMY Award, two Billboard Music Awards, 19 Dove Awards, one platinum and four gold albums to his credit, Chris Tomlin is among the most well-known and influential artists in contemporary Christian music, referred to by Time Magazine as 'most likely the most often sung artist anywhere'. Chris Tomlin continues to tour many dates every year and plays regularly at Passion Conferences in the United States and worldwide. Along with Pastor and Communicator Louie Giglio, Tomlin serves at Passion City Church in Atlanta, GA.
Now Playing: Greater Your browser does not support the audio element.